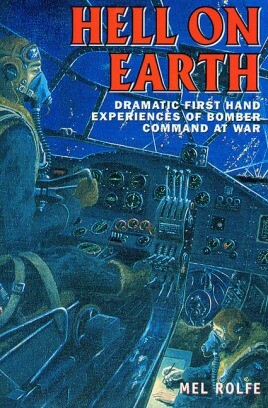 A collection of 20 true stories of bravery, survival, and good and bad luck, involving bomber command during World War II. The following extracts illustrate the drama in this book. ‘We could see the (Lancaster) wing flapping up and down. It could have broken off at any time and going through my mind was the thought that it probably would. But we pressed on. I took a realistic view. I knew the chances were against us getting back and this might be the time everything was going to end. But I didn’t experience fear which interfered with what I had to do.